Chakotay takes Janeway on a spiritual journey! Neelix tries to bail on the crew! Harry remembers being in the womb! The mess hall runs out of coffee! Yes, all these things converge in one amazing storyline! Unfortunately, the story itself is about a friggin' cloud, which no one cares about at all. 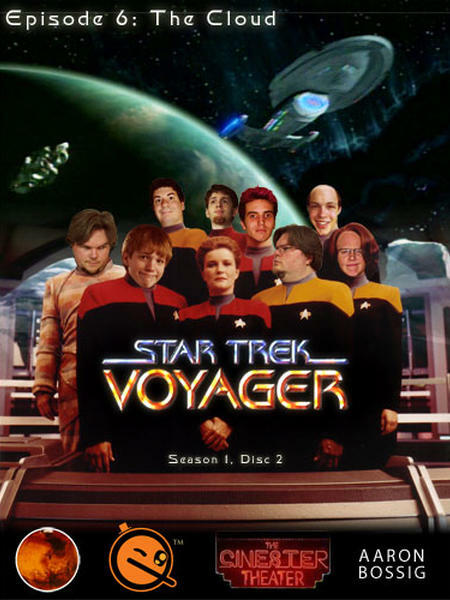 Yes, in this First-Season episode of Voyager, the cast and crew tell the tale of a big spaceship that found a big thing floating in space and no one knew what it was. Because, of course, that was a new idea for Star Trek. Aaron Bossig, Micheal T Bradley(Ice on Mars) and Frondy team up to tackle the mean old Nebula.